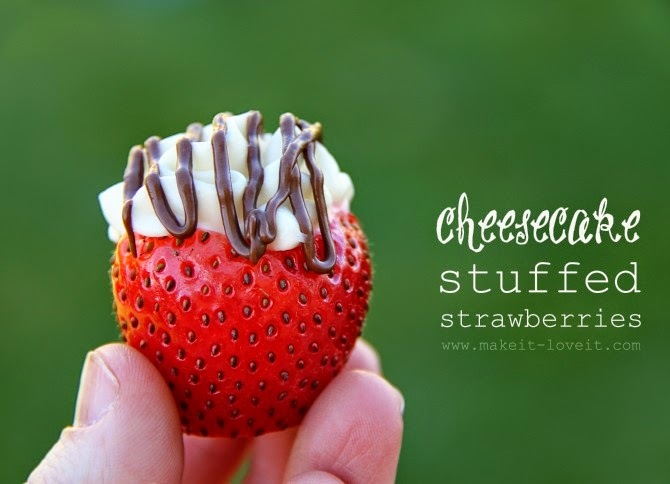 Especially since they are so much easier to make than cheesecake AND they taste so good!! Cut the bottoms of the strawberries so they will stand up. Hollow out the middle of the strawberry slightly. Fill with Cream Cheese Frosting.